The Honorable W. Royal Furgeson, Jr., United States District Judge, Northern District of Texas, was named as the founding Dean of the UNT Dallas College of Law in January 2012. He assumed his position as Dean in mid-year 2013, after retiring from the federal district bench. Judge Furgeson retired from the law school in 2018. Being a good mediator isn’t too different from being a good judge. You have to be able to listen. You want to hear what the parties have to say. You have to be patient and let the case unfold as the lawyers have planned, not as you have planned. You have to understand that it’s a process. You can’t walk in and say, “You want this much money, you want that much money,” and it’s mediated and everyone’s happy. You can’t do that. You have to let the process develop, hear both sides, and be patient. 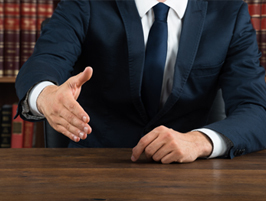 The difference is that you can talk directly to the clients – especially the clients, not the lawyers – and explain the risks they face in litigation, the benefits of mediation and settlement, and how to achieve those benefits. You don’t get that opportunity as a judge. As a judge, you have to say, “It’s this or that, and that’s it.” You don’t get the opportunity to try to resolve the matter by settlement. As a mediator, if you don’t settle the case, your job is done. The mediator can’t order the parties to do anything.